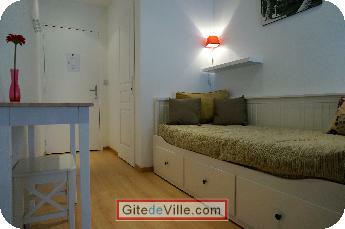 Vacation Rentals - Holiday Rental ads in the city of Fontaine-lès-Dijon in France for Tourism. 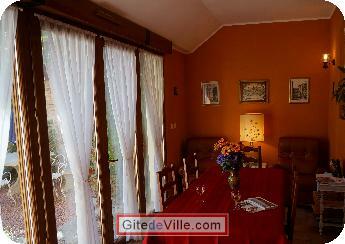 Bed and Breakfast of 90 m² in Fontaine-lès-Dijon for 11 peoples. Les tarifs varient selon la chambre et le nombre de personnes. Merci de nous consulter. 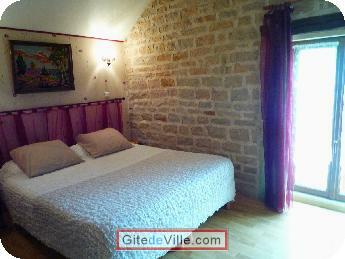 B&b of charme in a residential suburb of Dijon (only some minutes from the centre-ville). Three bedrooms with private bathroom and TV, a family suite, a common dining-room with a kitchen-corner and a little yard. Very good restaurant at 50m, bakery at 50m, a little supermarket in 10 minutes by foot. Birthplace of Saint Bernard and ancien church at 150m, bus stop at 2 min. Last Ads update : 04/27/2014. 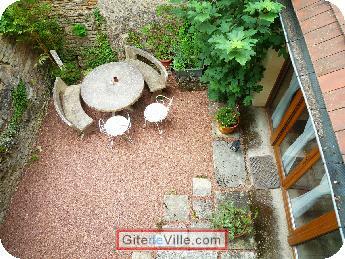 Owner of an urban accomodation or B&B to rent in Fontaine-lès-Dijon ?